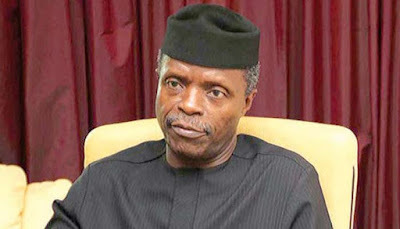 Vice President Yemi Osinbajo has called on church leaders and Christians to contribute their quotas to nation building by being agents of change. Osinbajo said this on at Ikeji–Arakeji, Osun State, during the final ceremony of the centenary celebration of the Christ Apostolic Church. In a statement by CAC, the VP was quoted as saying, “It is our duty and our destiny to change our country, to transform our nation. In other words, all that is wrong in our nation is waiting for us to be changed. “It is our business to teach righteousness. Sometimes, the gospel teaches about prosperity, but the church must teach righteousness. In this case the church must be the agent of change. The church must join in changing the wrongs in our nation”. While congratulating CAC authorities for managing the church in the last 100 years, Osinbajo also advised the church on unity.